Nat King Cole was remarkable musician who weaved his way between pure jazz and easy listening, an innovative and highly skilled pianist-virtuoso, and of course, a captivating singer/crooner with his deep, romantic and velvety voice that set him apart from everyone - this genius had never before been commemorated in so much style. 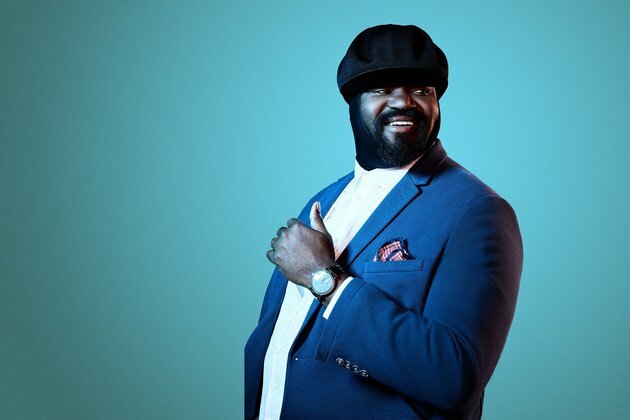 This live performance recorded on the prestigious stage of the Royal Albert Hall in London, Gregory Porter is supported by his trusty quartet (pianist Chip Crawford, bassist Jahmal Nichols, drummer Emanuel Harrold and saxophonist Tivon Pennicott) as well as by the 70 musicians of the London Studio Orchestra, conducted by Vince Mendoza. He features pieces that are closely associated with Nat King Cole (Mona Lisa, Nature Boy…) but also some of his own compositions ( Hey Laura, When Love Was King, Don’t Lose Your Steam…). Throughout One Night Only it is fascinating to see how Gregory Porter is just as comfortable when singing alongside the sophistication of the string section as he is in the rougher and groovier sequences. A vocal range that makes this show truly magical.